How to Prepare Adequately for the examination? Examination: An act which tests a person’s knowledge in a particular subject — Usually many of the individual’s to whom I meet in my daily life are very much worried about their exams, all the time stressed in their mood, never feel happy about their tests. Apparently these group of people study their subject very well and constantly working hard on their goal, but when it comes to write and present the same they fail? What is the reason they fail?reasons are many but I will discuss only the few major reasons and their solutions in the article. The majority of students starts preparing for the exams before fifteen to ten days prioritized in accordance to their notes without the help of their teachers. This can be the main drawback for the student because if he did not attend and listen to the class of that topic what can he learn by himself/herself. My advice here is never miss any class of the subject and at least just listen to the class instead of writing notes, this will help you a lot in preparation of your notes. Another problem which can lead to disturbance of mind, incomes is the use of multiple textbooks, now you may have a question how? It is quiet simple. Let us understand this topic with an example, consider you are preparing for science exam and a prescribed textbook is always present for that textbook, additionally you may have another reference book which is also good. The problem starts when you start buying every book available for that subject and it will be good at the beginning, but when the exam time reaches you definitely get confused with these all stuff you have gathered around. So, the advice here is to use a single textbook till the end. Nowadays it has become a trend of the night out. Actually, it is totally unnecessary in the exam point of view. It is needed when you are not aware of the subject and start working on it at the end, which apparently is not going to work out in the examination. During exam time an individual need minimum of 6 hours of sound sleep and it is even proved medically. Instead of sleep if you start preparing for exam your mind gets totally disturbed and pressure on your mind increases eventually unbalancing your mental health. If you are not healthy what you can present during the exam. Here the advice is not to add up pressure to your mind without sleep instead prefer some recreational activity so that you can be calm and you can do better the next day. Well, I can say this can be the main drawback behind an individual’s failure. Every individual has got some unique and it will be expressed accordingly. Never compare yourself with someone who is good at something, because if he/she is good at that thing, then you have also got the capability to do the same thing and maybe you can do it in another and much more effective way. Always be happy with what you have gained, achieved and earned. The day you start comparing yourself is the day you are totally defeated yourself. So,the mantra here is to always accept what you have achieved with your work and try to be the best in the next chance whenever you get. Well, I feel this is the very old trick which everyone tells. Yes indeed it is old, but it is the only one which is going to work. For example, I am weak in Math and I feel everyone in Math that doesn’t mean it is impossible to pass that exam, here I need to practice repeatedly, solving the same problem for 2-3 times can overcome this problem. It is not said as such that “practice makes man perfect”. Again, here the point is to practice at your weaknesses. The plan is the systematic distribution of time in your activities. Planning should be done prior to exam say about a month earlier. If you divide your time accordingly and study, then no one can stop you from succeeding on the exam. Make sure your plan covers all the subjects, with every corner and edge, one more thing that should be included in your plan is time for entertainment, and it doesn’t mean dedicating all the time for it. Instead an hour for this particular section will be more than enough and sufficient. This particular topic may be odd, but this a fact. 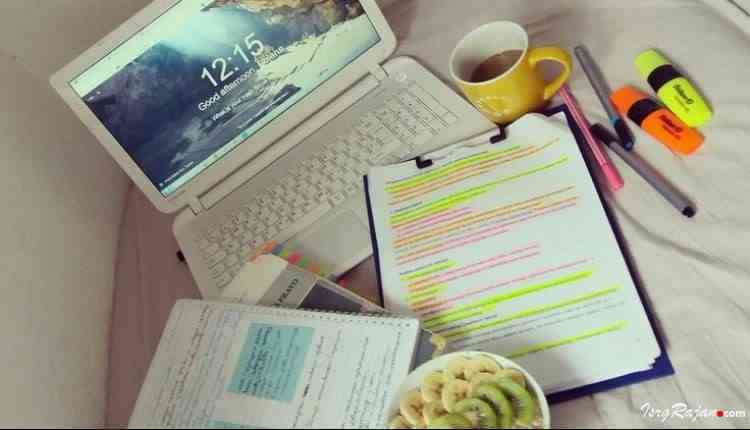 I have seen many persons who do multiple tasks during their study time. They listen music while studying they even play during study time, this is really scary enough, because you cannot do multiple things at once if you are interested to study, then study sincerely or if you want to play for a while but never do both the tasks at a single time. What happens here is the attention of the mind gets distracted it cannot concentrate and even if you understand something it will not last long. Hence, never do this and concentrate on a single task. Well, this can be a great fence for your exam, you may feel how? If you start solving previous papers it is nothing but indirectly you are solving your own question paper again, not exactly the same paper is going to appear, instead you will get an idea of your paper. You can learn time management through this technique and you can expect few questions which may repeat in your actual paper. So, never forget to take a look on your previous question papers and if possible to solve them and practice them. These were a few reasons which I was able to cover in this particular article. But there are many other mistakes that everyone does, and it is sure followed the above discussed points you will definitely feel a certain difference in your forthcoming examinations. Hope it will help and best of luck for your exams.